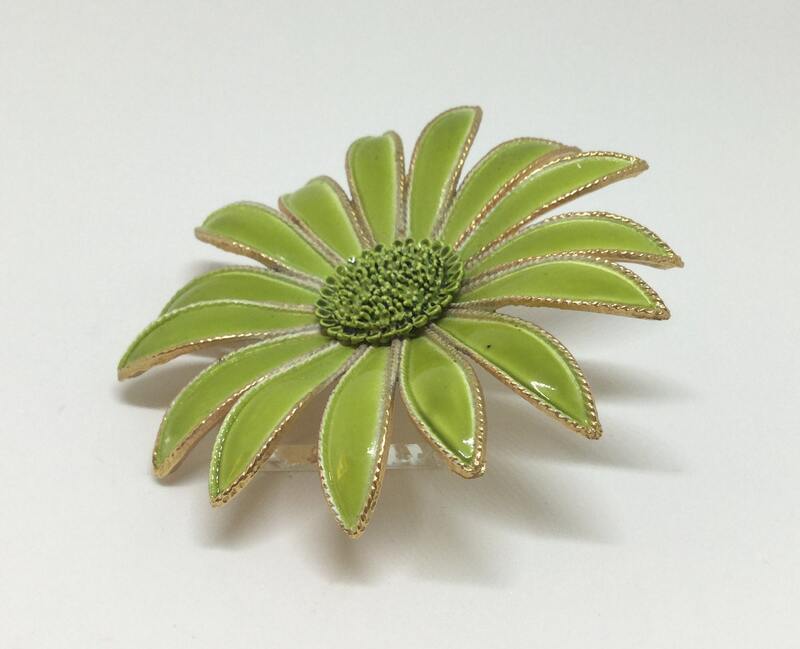 This is a gorgeous goldtone unsigned Gerber Daisy brooch in a yummy shade of green. 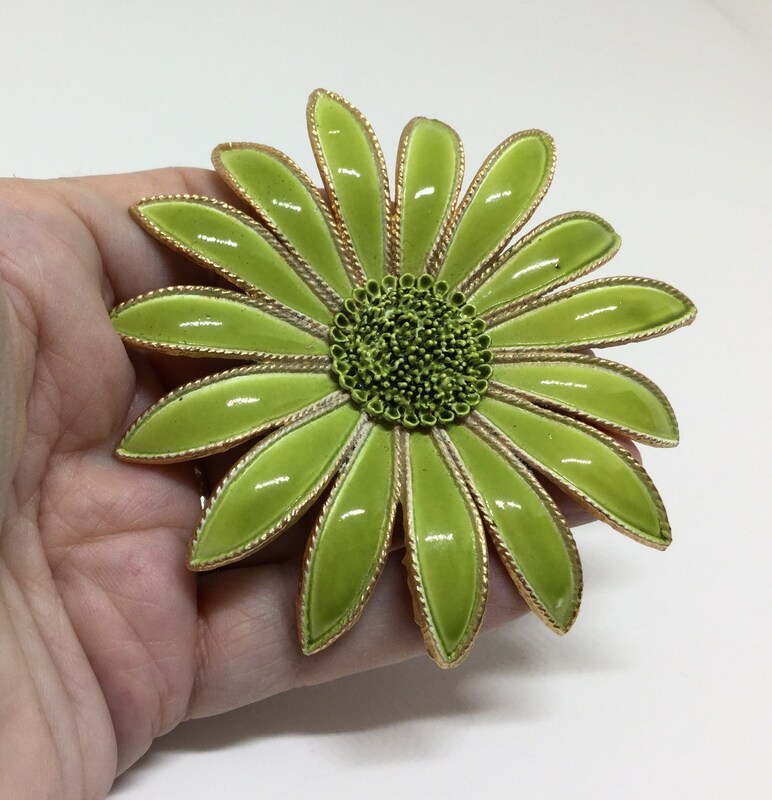 It has a nubby textured center. 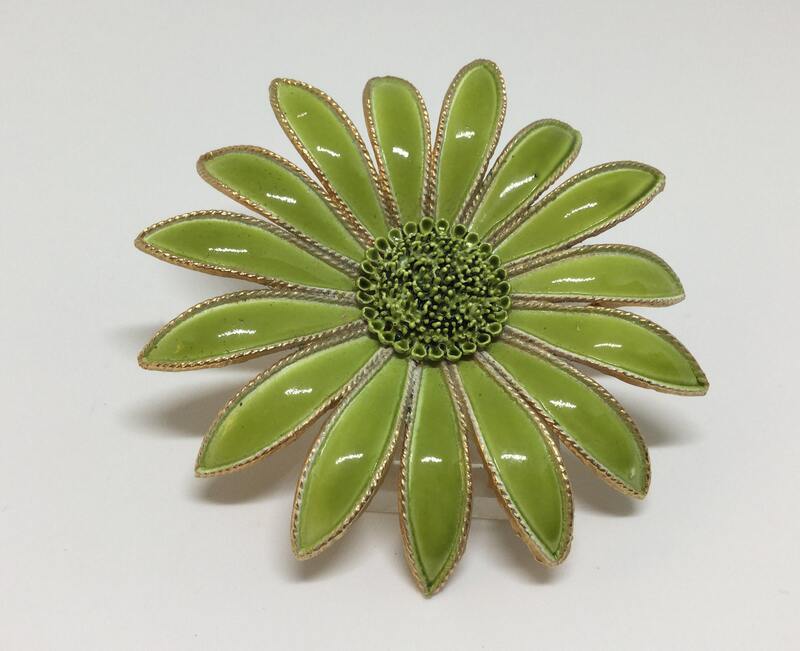 The petals are a thick enamel in a gorgeous shade of green. 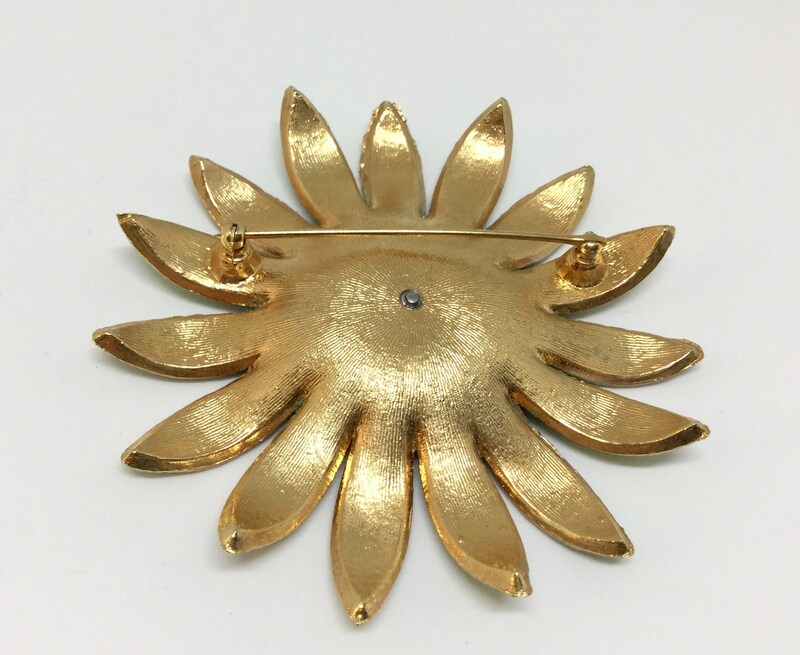 Each petal is outlined in goldtone dainty roping. 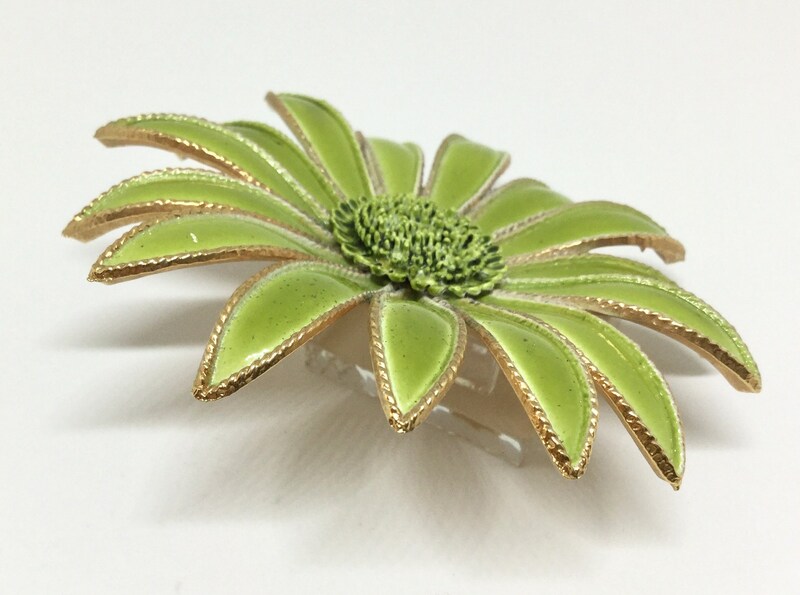 It is in very good condition front and back with a teeny black dot on one petal and and a teeny scratch on another which are barely noticeable. 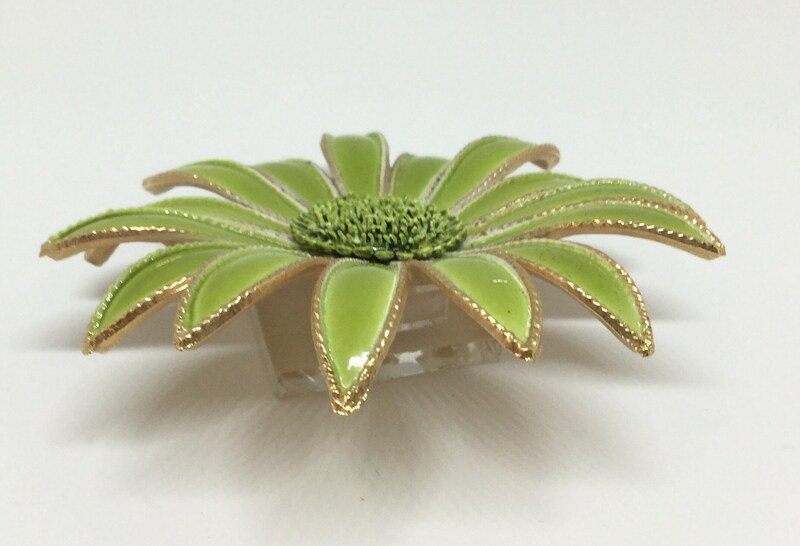 It measures 3 1/4” In diameter and the pin closure is straight and works smoothly and securely. 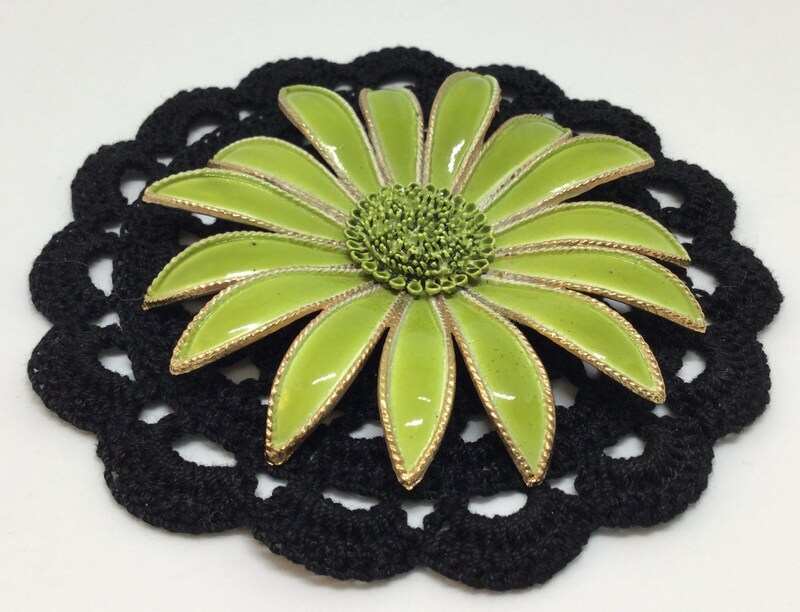 This eye catching flower would be amazing on a gray, black, or denim spring jacket, purse, hat, backpack, or amazing in a bridal bouquet! Mother’s Day! !